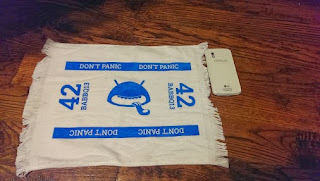 question towel Towel day What's your "Don't forget your towel" for your mobile device? What's your "Don't forget your towel" for your mobile device? 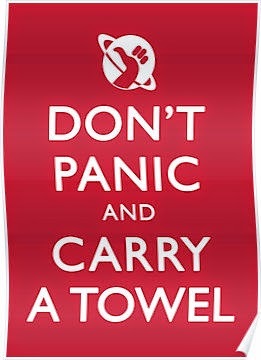 Hey everybody, it's Towel Day - something definitely those Douglas Adams fans have marked to commemorate some great writing by that man (RIP Douglas!). A towel really is a signifier of someone who's ready for just about... anything. And on this towel day, while I reminisce on missing out on that towel - I'm wondering what are your 'towels' you have for your phone so that you're ready for anything? Is it Google Translate (i.e. the babelfish), is it a good case to protect it from the Bugblatter Beast of Traal, a playlist to have with you at the beach while you lay down on your towel, Wikipedia app (the Guide)... ? What do you have on your phone to always be ready?